Mt nephew is in full on superhero mode right now. I love little boys at that age. He would probably think these etched superhero glasses were the best. If you don't want your kiddos to use glass, you could use the same technique with paint on a plastic cup too. 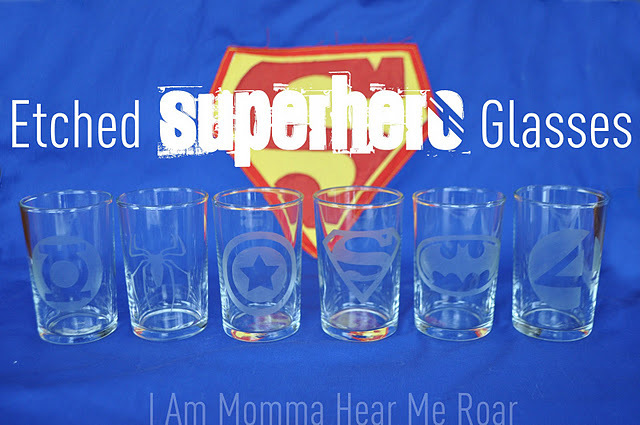 You can see how to make etched superhero glasses over at I Am Momma Hear Me Roar.